Hello! Am back with the update on my second week of using ACPURIS! Well, you can see my "before" photo here in my previous post and look at my terrible acne-prone skin condition. My photo above taken with my iPhone 5 without any filter and only pact powder on my face and you can see it shown some improvement on the front look. 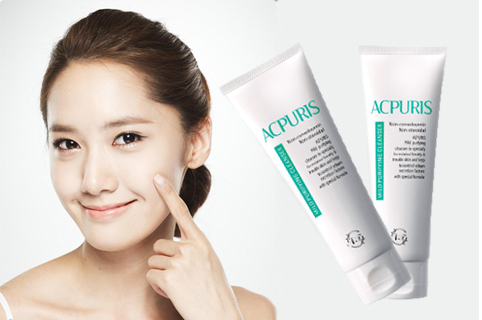 However, there's still visible pimples and scars on the sides. 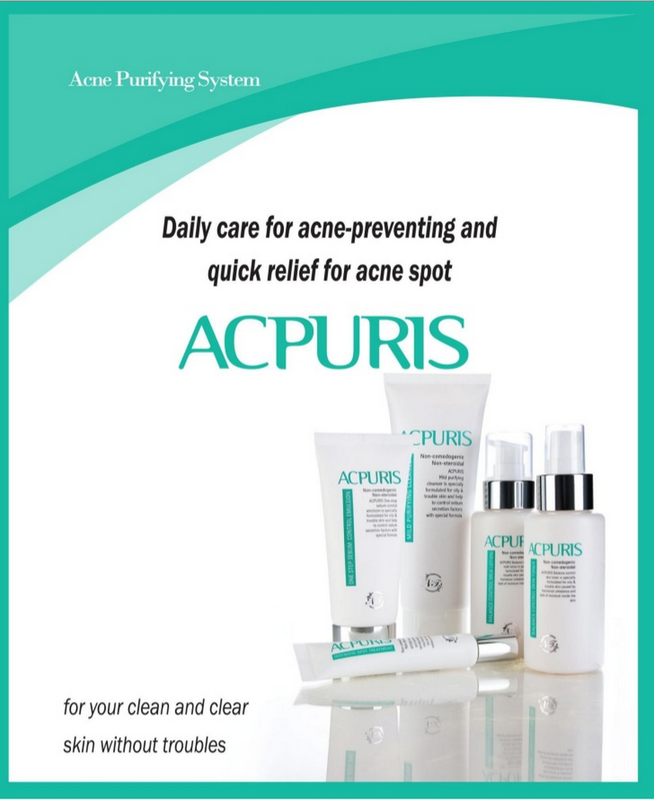 Apart from my week 2 journey update, I would like to share with you guys about acne and also about ACPURIS since I have not introduce this products properly in my previous post yet. 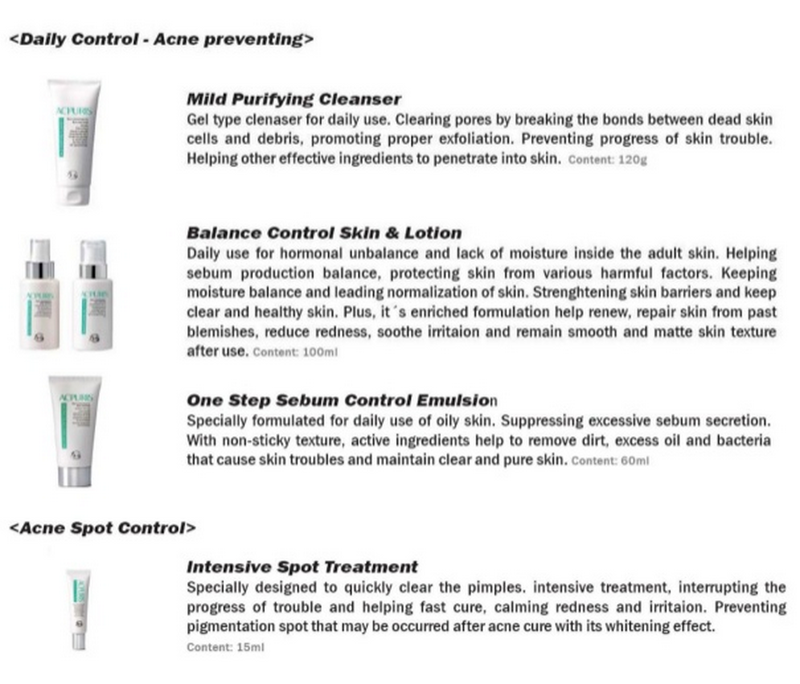 If you're having the same acne-prone skin type like me too, you may want to read on about this skincare brand. ACPURIS (Acne Purifying System) Trouble Care help to maintain clear skin without troubles or pimples by step-by-step defense against various acne-cause factors. 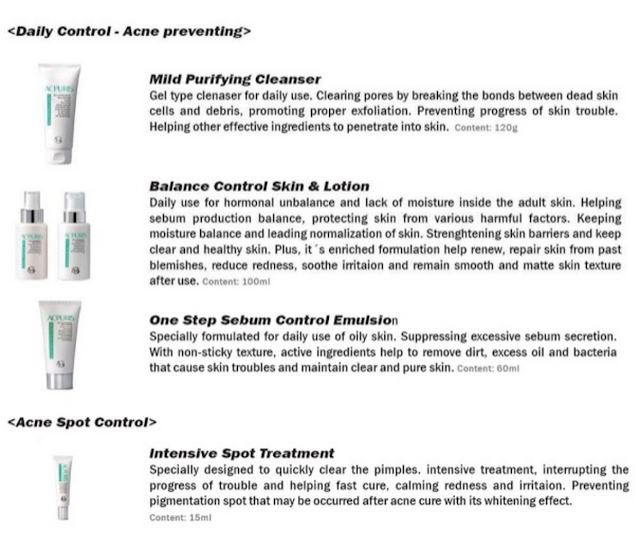 It helps to clean pores, balance oil production by inhibiting excess sebum secretion, inhibit P.acne bacteria and inflammation, clear existing skin troubles without scar or pigmentation, prevent new acne breakouts occurrence, revitalise and repair damaged skin, reduce redness and soother irritation and also maintain smooth and matte skin texture.